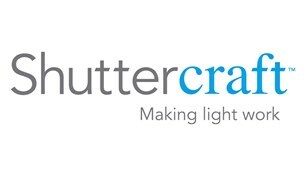 Shuttercraft Bristol Ltd - Curtains/Blinds/Shutters based in Bristol, Avon. Invoice history based on 272 reviews. Shuttercraft Bristol is a family business run by Martin, Sue and Jake Burge who provide a local service in and around the Bristol area supplying and fitting the finest quality made-to-measure Plantation Shutters and Venetian Blinds. Indeed, Shuttercraft Bristol are on hand to provide their expert advice and recommendations to help you create a truly fantastic look for your home, while allowing you to benefit from the outstanding light and privacy control features our beautiful Window Shutters offer. We pride ourselves on our excellent standards of customer service and strive to provide our customers with the very highest level of satisfaction by providing them with a high quality product, high quality installation and high level of after sales support to match, should any be needed. Our Plantation Shutters and Blinds are fast becoming a hugely popular option for both residential and commercial properties in Bristol and our extensive range offers everything from traditional shutters to more contemporary designs. This makes us the ideal choice when looking for window furnishings to perfectly compliment your existing decor and allow you to buy from a name you can trust – make sure you read our verified customers comments. Contact us today on 0117 322 4900 to discuss your shutter requirements and receive a free consultation, survey and quote. Bristol, Weston-super-Mare, Chippenham, Bridgwater, Somerset and all surrounding areas.